Charles Mully with a few of the children of Mully Children's Family. Hoy-eh! Mully is a true story that will transform your life. You will laugh and cry and be inspired by Charles Mully and his life’s work: Mully Children’s Family. Charles Mully overcame childhood abuse, abandonment, and abject poverty to become a millionaire. At the pinnacle of his career, Charles made an unbelievable decision that ultimately transformed a nation. Discover how you can join him now in the fight to alleviate poverty. Discover the story of Mully Children’s Family. 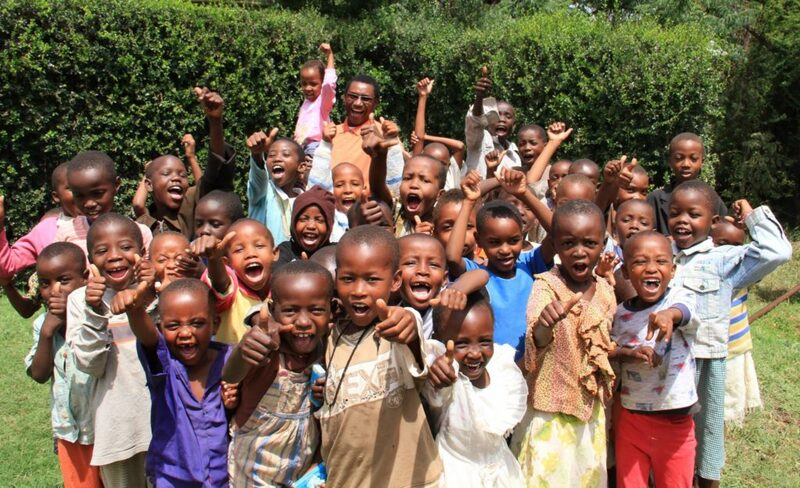 View video from Mully Children’s Family in Kenya. Connect with Mully Children’s Family. Meet the Mully Children’s Family artisans. See videos of the Mully Children’s Family artisans’ work at the Yatta Vocational Training Centre. Shop to support these artisans. Read more about Mully Children’s Family artisans and their special partnership with WorldCrafts.